At deBebians, we are always looking for new ways for you to express your love for your loved one. We are thrilled to announce the addition of our 5 stone engagement rings collection. This collection features 5 stone engagement rings with diamonds and even precious birth stones, such as blue sapphires or rubies. 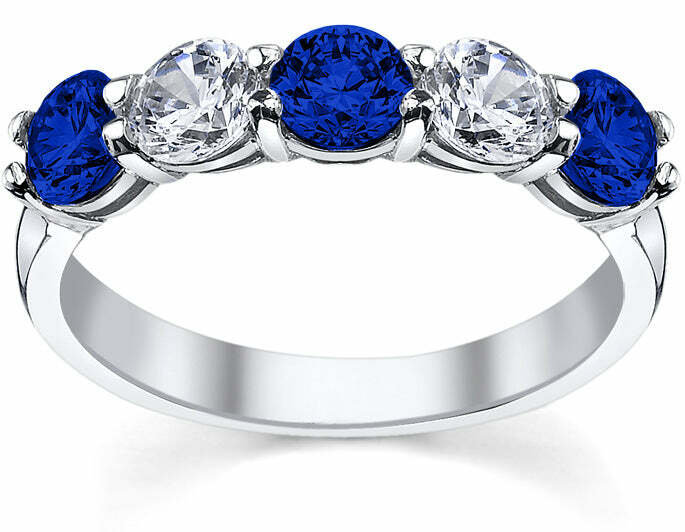 A 5 stone engagement rings style can feature diamonds and even blue sapphires. 5 stone engagement rings are perfect for every special occasion such as Valentine’s Day, birthdays, and of course your 5 year wedding anniversary. 5 stone engagement rings featuring only diamonds are certainly the most common, but if your loved one is partial to color, then perhaps one of the rings pairing diamonds with her birthstone is a more appropriate choice. 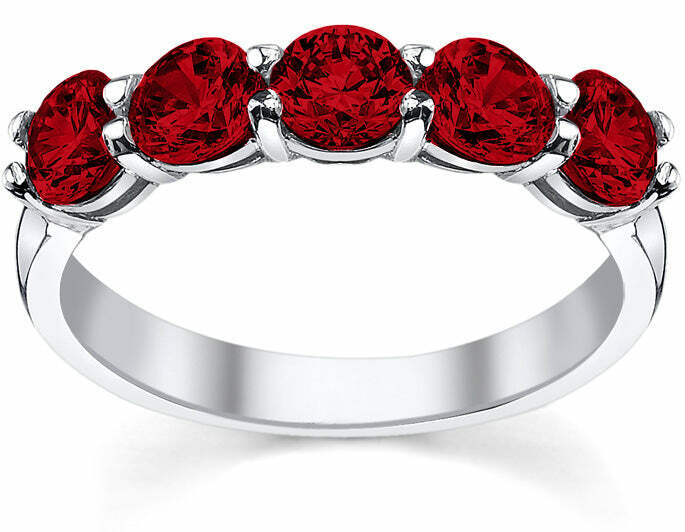 5 stone engagement rings with rubies are perfect gifts for Valentine’s Day or a 5 year wedding anniversary. Whether you give her one of these rings as a push present or for your 5 year wedding anniversary, she is sure to love wearing it every single day. What styles of unique 5 stone engagement rings are your favorites? Which gemstone will your beloved like to wear the most?